Keep it Beautiful Designs: To Taste? or To Pitch? Hope you had a nice weekend. Last week was pretty busy with transitioning into work and getting the kids organized to school and daycare in the mornings. Which means I didn't get to start any of our projects in the house, however...we'll get there. 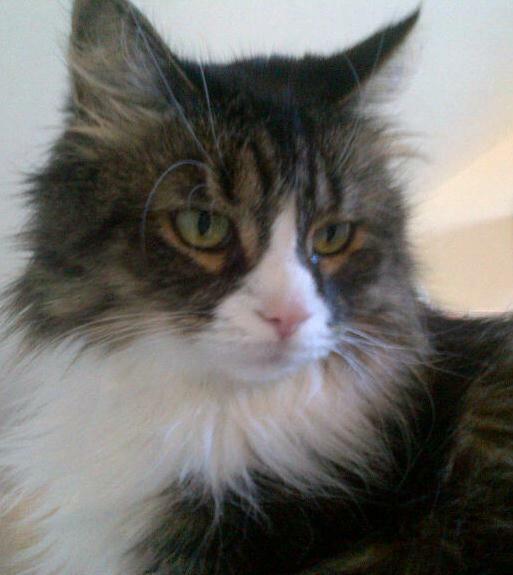 We also had to put our cat down. It was really sad. She was 10 years old and not very well. Isn't she cute? We'll miss her...so long Joie. Sooo, we needed a little R&R! We hopped on the train with friends of ours and took the kids to Montreal. We had a fabulous weekend...a great way to end a busy week! Maybe its because I'm making my big guy's lunch along with mine for the office, that lately I'm obsessing over food and healthy food for our fam. One thing that I'm always wondering about is how long my food is fresh for? Can I stretch it a few extra days after the expiry dates? When do you taste? When do you pitch? I came across this great website Still Tasty: Your Ultimate Shelf Life Guide It allows you to type in a product or search by category and then tells you the shelf life in the fridge, on the shelf or in the freezer. It also provides tips on how to best store your food. Did you know...there are some foods on your shelf that could outlast you? Yup, their shelf life is super long!! Ie: honey, rice, sugar, liqour (yum! ), salt and apparently maple syrup lasts forever in the frezer. Food safety is gaining alot of attention these days. It is important to keep your family safe and healthy. Answer: The counter is definitely the better place for your bread. 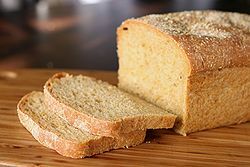 Bread stored in the refrigerator will dry out and become stale much faster than bread stored at room temperature. For longer-term storage, you should freeze bread. Soft-crusted, pre-sliced breads will keep fresh for up to a week at room temperature; be sure to keep the original packaging tightly closed after each use. Soft-crusted, unsliced breads will keep well for four to five days on the counter, while hard-crusted breads will keep fresh for a day or two. All of these breads freeze well and will maintain their quality for at least three months once frozen. Do I have to store ketchup and mustard in the fridge once they’re opened? 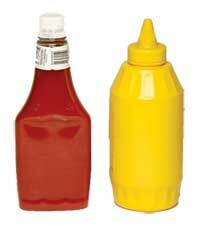 Answer: Technically speaking, you don’t have to store opened bottles of ketchup and mustard in the refrigerator. But it’s a good idea all the same, since you’ll get a lot more mileage out of them if you do, as condiment manufacturers like French's point out. Due to their high acid content, both mustard and ketchup will keep fine for about a month in the pantry. But after that, their flavor, appearance and texture will begin to break down and deteriorate much more quickly at normal room temperatures than in the cooler 40° F storage conditions of the refrigerator. An opened bottle of ketchup should stay at peak quality for about 6 months in the fridge; mustard for at least a year. And both will remain safe to consume for much longer than that, as long as they've been continuously refrigerated. I’ve got some yogurt in the fridge and I just discovered that the sell-by date was a week ago. Is it still safe to eat? Answer: Most likely it is. 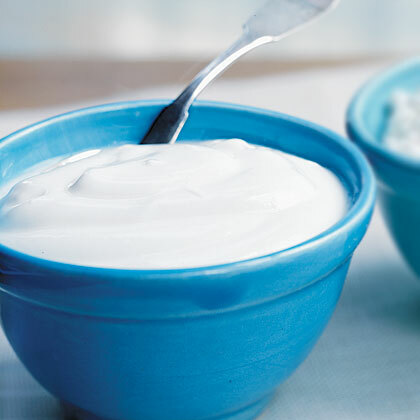 Yogurt that has been properly stored will generally remain safe for at least 7 to 10 days after the "sell-by" date on the package. As the food safety specialists at Clemson University’s Cooperative Extension point out, this assumes that the temperature of your refrigerator remains at or below 40° Fahrenheit at all times. Bear in mind, too, that the longer you keep yogurt, the stronger its taste will become. Still Tasty is a cool site. Check it out if you have a minute. Ever wondered if you can freeze cheese? Or if everything is unsafe to refreeze after its thawed? Still Tasty will answer your questions. Have a good Monday everyone.